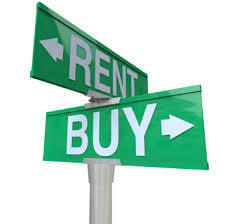 A question we hear fairly often is should I rent or should I buy a house in the Mooresville or Lake Norman area? This question can get met with some pretty strong opinions from both sides. Here are some considerations for both situations to help you determine that for yourself. Expenses – In our area, it was recently reported that it is currently 43% less expensive to own a home than it is to rent one. That is not the case in all areas of the country, but for us, right now that is the case. Another consideration is that rents go up, a fixed mortgage payment doesn’t. Tax write off – every year you get this nice tax benefit on your taxes for owning a home, paying taxes on that home and paying the interest associated with any loans against the home. Equity – If you pay rent you are paying your landlord’s mortgage and adding equity to his/her bank account. However when you have a home mortgage, you increase your degree of home ownership with every payment. Creative Control – If it’s your house, you can pretty well do what you like as long as it doesn’t conflict with the neighborhood restrictions. You want a lime green room? Go ahead! Maintenance choices – when you own the home YOU get to decide how to approach maintenance. Will you go for the cheap fix or do you want something a little better? Do you want to insulate the walls, windows, attic (whatever) better so your power bill will go down? Go ahead! Another Consideration – over time home ownership actually gets LESS expensive in terms of appreciation. Over that same amount of time rents go up. In other words, when you own a home, your investment value is going up but your payment remains the same. When you are renting, your investment remains the same (zero) but your payments go up. Flexibility – If you are here for a short term period and you know it, renting is probably a better option. If you are unsure of what area you want to live in, renting is probably a better option. Maintenance – If you just can’t stand the thought of having to fix something yourself or even hiring someone to do it for you, renting is probably a better option. Expenses – It is more costly to rent than to buy in our area. The rent payments are a good bit higher than a mortgage payment would be. Also, rent payments tend to go up and this makes long-term budgeting more difficult. Bad credit – if you, like many people, have had some credit issues and are still trying to overcome them you may not have a choice but to rent. Creative control – you really don’t have any by renting. Maintenance choices – none – your landlord will make those decisions. Generally they are the most cost effective for the building, not your power bill. If you have any questions about owning a home vs renting a home, we at Alford Realty Group are happy to help. If you are uncertain about whether or not you could qualify for a loan, we have people that we work with everyday that can help you with that. Contact us and let’s see what we can do to help you today.